Mail and wire fraud is any fraudulent plot to intentionally deprive another of property or honest services via mail or wire communication. This is considered a serious criminal offence. Mail fraud charges are when an individual puts into place any form of scheme to defraud in order to obtain money or property by means of false or fraudulent pretences. This occurs when the individual attempts to distribute, supply or unlawfully use any counterfeit in their scheme and in attempting to do so, places the same in any post office or authorized depository for the mail to deliver. This type of offence carries a fine or the possibility of imprisonment for up to 20 years, or both. Wire fraud charges occur when an individual carries out financial fraud using telecommunications or information technology to do so. The sentence for this type of offence is the same as mail fraud with a fine, or the possibility of imprisonment for up to 20 years, or both. 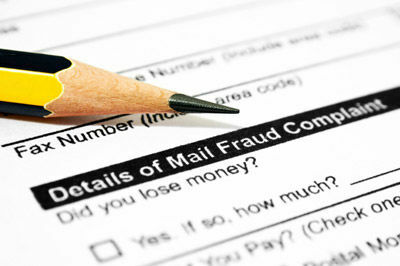 If you are involved in mail and wire fraud, you should seek legal advice as soon as possible. We appreciate that this may be a very difficult and stressful time and we can assure you that we will make this process run as smooth as possible. At Bloomsbury Law, we understand that no case is the same. This is why we work on a bespoke level to provide you with the best service possible. If you are seeking legal advice, call one of our specialists, we will listen to your situation, answer any enquiries that you may have, and advise you accordingly once we are instructed.